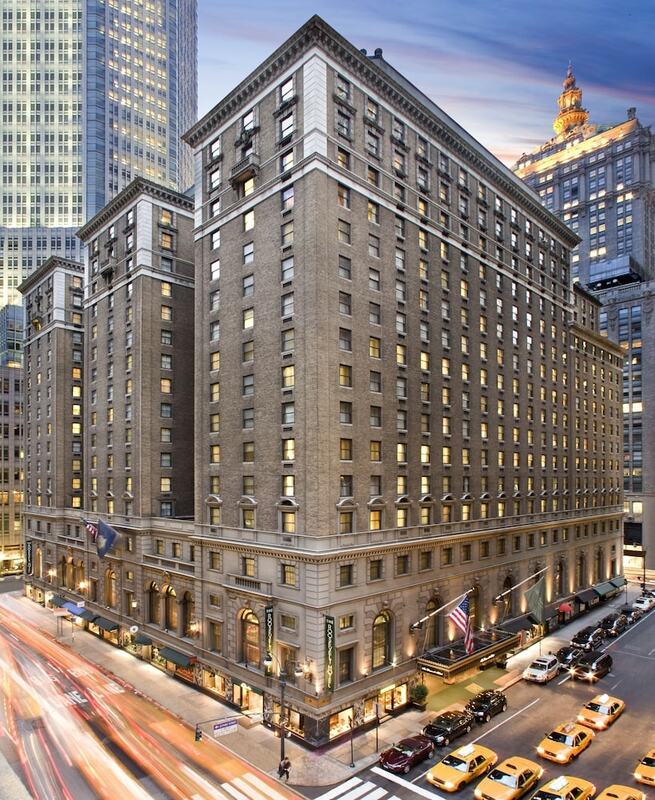 With a stay at The Roosevelt Hotel, New York City, you'll be centrally located in New York, steps from 5th Avenue and 5 minutes by foot from Grand Central Terminal. This 4-star hotel is 0.4 mi (0.6 km) from St. Patrick's Cathedral and 0.4 mi (0.7 km) from Rockefeller Center. Grab a bite at one of the hotel's 3 restaurants, or stay in and take advantage of the room service (during limited hours). Quench your thirst with your favorite drink at the bar/lounge. Breakfast is available for a fee. Featured amenities include a business center, express check-in, and express check-out. Planning an event in New York? This hotel has facilities measuring 29999 square feet (2787 square meters), including conference space.